Lynden Bathroom Remodeling & Renovation Services - Eagle Plumbing and Heating Inc. Looking for professional Bellingham bathroom remodeling and renovation services? Contact the experts at Eagle Plumbing & Heating at (360) 318-9999. Click here to save on several of our valued services? If you are planning to remodel your bathroom it is important to enlist the help of a certified professional from Eagle Plumbing & Heating. We can help you to select the right type of materials and make sure you choose efficient features that will fit nicely with the style of your home. We will also ensure that all local codes are met and that all of your plumbing systems are adjusted accordingly, guaranteeing a highly pleasing end result. 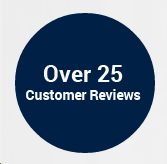 To read reviews and testimonials from other customers in your area on our specialized services, click here. What plumbing issues need to be considered when remodeling your bathroom? If you want to change the layout of your bathroom, it may require extensive rerouting of your inlet and outlet pipes, which is why it is important to have knowledgeable plumbing professionals who can assist you with your project. In some cases your pipes will need to be replaced in order to ensure the optimum performance of your new systems. Any number of questions can come up while remodeling your bathroom, for example, you may wonder if installing a walk-in shower will be less time consuming and more cost-effective than putting in a steam system or a freestanding tub. When switching over to more modern fixtures, drains may also need to be replaced, which will most certainly require the assistance of a trained professional. Our experienced team can help you to choose durable materials and make sure they are installed properly, minimizing the chances of any issues. When remodeling your bathroom it is imperative that you work with a specialist who can help you to make informed decisions that will ensure optimum results. One of the services Eagle Plumbing & Heating provides to local customers is a shower replacement. Some homeowners will replace a shower for cosmetic reasons, in order to add a touch of elegance to an older residence or even to improve the look and feel of a brand-new property. Other households have elderly family members who may need a shower that is handicap accessible or have other needs that must be accommodated. An aging shower can incur a lot of damage and will need to be repaired more frequently. Sometimes replacing your entire unit is the better solution. If you notice cracks in the tile, have a leaky showerhead, or your drains are no longer functioning properly, it is likely in your best interest to have a new shower installed. It is always important to remember that even the smallest leak can cause serious damage to your property, so if you notice water pooling around your unit, contact a certified professional immediately. What are some signs that it’s time to replace your tub? Our skilled professionals can also assist you with a bathtub replacement. Even if your tub is working properly you may want to install a more modern unit,= that will help to improve the style and efficiency of your bathroom. Newer tubs offer special features, like massaging jets, a larger basin, or the sleek design of a freestanding system. Replacement services may also be needed if your tub is badly damaged. As with many other plumbing fixtures, cracks can be a serious problem. Before you are faced with a major plumbing emergency a cracked tub should be taken out so a new unit can be installed. Erosion around the drain is also a sign that your tub is in poor condition and will likely need to be replaced. Other homeowners may want to install an affordable shower and tub combination in order to save on space. For all of your bathroom remodeling needs, contact the trusted professionals at Eagle Plumbing & Heating. Call us today at (360) 318-9999.